This is a continuation of my story. A story of a girl who has trouble calling herself a woman because she still feels thirteen. A story of a princess and prince. A prince from a far away land with a white horse…and by “white horse” I mean a white motorbike that is our main mode of transportation here in Bangkok. This is a story of a big God, with a big heart, and an unrelenting love. 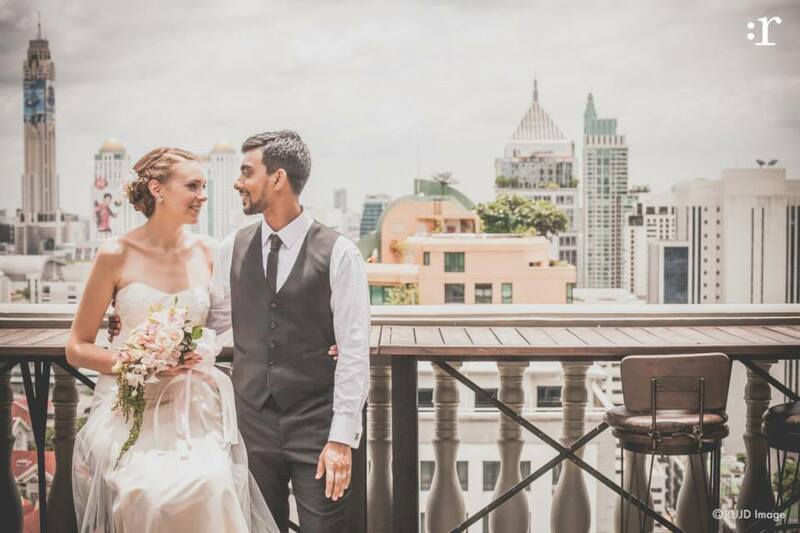 A story of how an avocado brought together a girl from Canada and a boy from Bangladesh to the beautiful country of Thailand. Now, while I was busy twirling around downtown Toronto, there was a prince baking bread and gardening in a far away land. This prince was tall, compassionate and innovative. He could turn a few plastic tubes, some Tilapia and seeds and a big bucket of water into a full on food production system with veggies and fish ready for eating! Soon, this prince and my brother became friends, bonding over the art of baking bread and a love for God…a great combo! This is the part of the story where the avocado comes in. The avocado is one of my favourite foods. All my trendy coworkers downtown would eat them for lunch and so of course, I had to try. Instantly, I was in love with the delicious creamy green fruit and began to eat them regularly. I would eat them with everything, and often just on their own with a little salt. A friend of mine at work introduced me to eating them on bread with hot chilies…soooo good!! While Skyping with my brother, Ben, in Thailand, i started telling him about my new love for avocados. This led him to tell me that eating avocados makes you have twins. TWINS! This didn’t surprise me in the slightest. I began to tell him how Rebekah in the Bible had twins, and “Rebecca” on “Full House” (an old favourite TV show of mine) had twins, and Rebecca Romijn – the actress who married John Stamos who played “Uncle Jesse”, husband of “Rebecca Donaldson’ on “Full House” – had twins! (Yes, this is how my brain works.) Naturally this led to me telling him about my namesake. I told my brother how my name, Rebecca, is so often linked to the name “John” such as with the real Pocahontas whose name was later changed to Rebecca and was saved by John Smith and later married John Rolfe. There have been many movies and TV shows where couples have been named “Rebecca” and “John”, not to mention the many many John’s I have met in the past few years. There was a time when without a doubt, every new guy that I met at church, work, or anywhere for that matter was named John! While meeting one John after another, I began to wonder what God was doing through this. I laughed about it a lot, thinking on the surface it was a funny coincidence…but the truth was that I felt something bigger was underlying this Rebecca/John phenomenon. “We all do”, I laughed. Though, he wasn’t laughing. After a slight pause, I asked him what he was talking about. He went on to tell me about a friend he had in Thailand named John. “Soooo, does he want to come to Canada” I asked, jokingly as I tried to understand what was going on. “He might…” Ben told me in all seriousness. I was feeling so many things, as this conversation went in an unexpected direction. I was excited and confused and curious about this John my brother was telling me about. Ben then told me John was originally from Bangladesh. “He’s brown! !” I couldn’t believe it…I’ve always had a love for and connection to brown people, as crazy as that sounds 🙂 My brother continued to tell me about John, painting a beautiful picture of this man I was now very curious to meet! And for my older brother, who typically wants to send Thai ninjas after anyone looking my way, to want to set me up with someone…this was huge and had me that much more curious about the mysterious John!! Soon after, John and I were texting, then Skyping. I like to say that with John, it was love at first Skype….corny, I know haha 🙂 On the outside things were moving quickly, but with each step we had peace and were resting on a foundation of many years of prayer for our future marriages and the support of family and friends. Plus, John was so good to take the initiative and leadership in our relationship while he pursued me. Even though I didn’t fall into his lap and start singing a duet about love, he really made me feel like such a princess. The first meeting in person happened in August which made me smile. I finally had my August Rush…my long awaited moment of meeting the man God had been preparing for me. We were both a bit nervous, but the foundation had been laid in the month leading up to that moment. I never expected to fall in love with a man I’d never met in person, but I did. He pursued from the beginning, teaching me that love is a choice and he was choosing me. Early on I was drawn back to my namesake thinking of Rebekah in the Bible. She chose to be married to a man named Isaac whom she had never met, from a culture that was not her own, leading her to move to a far away land where he lived. It was a Bible-time set up by Abraham, Isaac’s father, with the help of his servant. Rebekah had to trust God in this adventure as she left behind her family and friends and familiar to meet her soon-to-be husband. Here I was being introduced to a man by my brother and invited to come to a new country and meet a man from a different culture who wanted to start a family with me. While I didn’t ride a camel all the way to Bangkok, and got to actually talk to John many many times over the internet before meeting him, the Biblical story of Rebekah and Isaac was part of the confirmation and peace God was giving me in this new adventure. John and I both could see God’s hand on us as we prayed and prepared for our lives together. 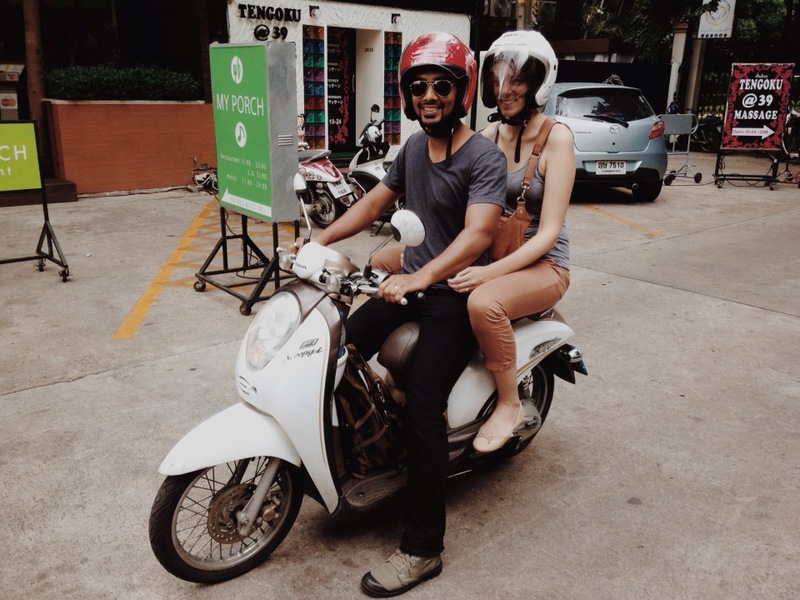 So while I continue in this new chapter of my life, husband at my side, eating spicy food and navigating our way through Bangkok’s busy streets on a white motorbike, I am excited because I know that God is here and He’s got John and I under His wings.